If a service utilizing a Wright Medical Technology product is denied, it is important that the physician and/or facility advocate for the patient in the form of an appeal. As the manufacturer, Wright is able to provide supportive materials, but is unable to advocate or intervene directly on behalf of the patient with their insurance company. Below, you will find information to support appeal efforts. 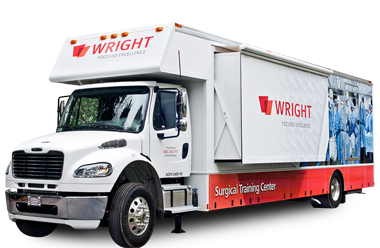 In addition, helpful published materials (by product) are available elsewhere on the Wright Medical Technology website. These are also available from local Sales Representatives. Lastly, patient involvement is key; the most successful appeals are those in which the patient is an advocate for themselves. The Medicare appeal process (known also as ‘re-determination’ process) is well-defined. This includes specific time-frames. The process is available whether the patient has Standard Medicare or Medicare Advantage. The provider or the patient may also appeal Local Coverage Determinations (LCDs). The appeals process for commercial insurance plans will vary from payor to payor. The provider and/or the patient will need to contact their insurance company to obtain appeal process information. You may be located in a region of the country where Medicare has established a non-coverage policy specific to GRAFTJACKET™. The provider and/or facility should advocate with the Carrier or Fiscal Intermediary on behalf of the patient through the appeals process. Below, you will find links to sample letters that can be individually customized for the specific patient and product. Remember that these are the framework to an appeal or letter of medical necessity; individual and personal letters about individual patients are by far the most effective.